Abigail Sloan Devlin was born and raised in Mystic, CT. She received her A.B. degree from Harvard College in 2006, where she conducted research in organic chemistry in the laboratory of Andrew Myers. She was a member of the varsity sailing team and was co-captain and skipper when the team won the 2005 women’s national championship. She earned her Ph.D. in 2012 from Stanford University under the direction of Professor Justin Du Bois. Her graduate work focused on the total synthesis of the potent voltage-gated sodium ion channel agonist batrachotoxin as well as the development of novel rhodium-catalyzed C–H insertion methodology. In 2012, Sloan joined the lab of Professor Michael Fischbach at the University of California, San Francisco as a postdoctoral fellow. 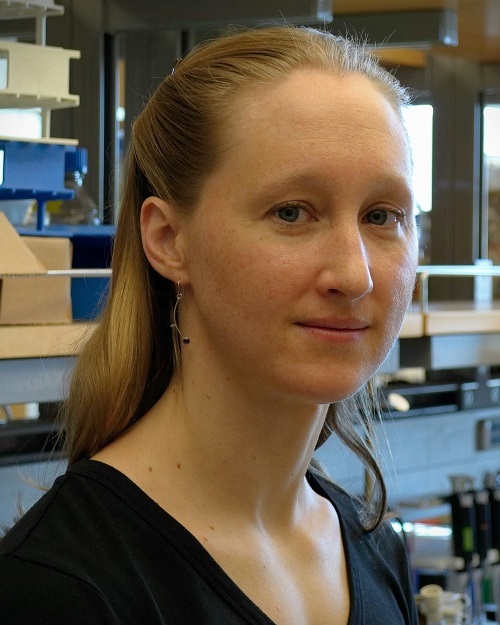 Her research in the Fischbach lab involved elucidating biosynthetic pathways and biological activities for small molecules produced by human-associated bacteria. She also engineered commensal strains to have novel, beneficial functions as a first step toward using bacteria as cell therapies to treat human disease. Sloan joined the Department of Biological Chemistry and Molecular Pharmacology at Harvard Medical School as an assistant professor in Fall 2016.